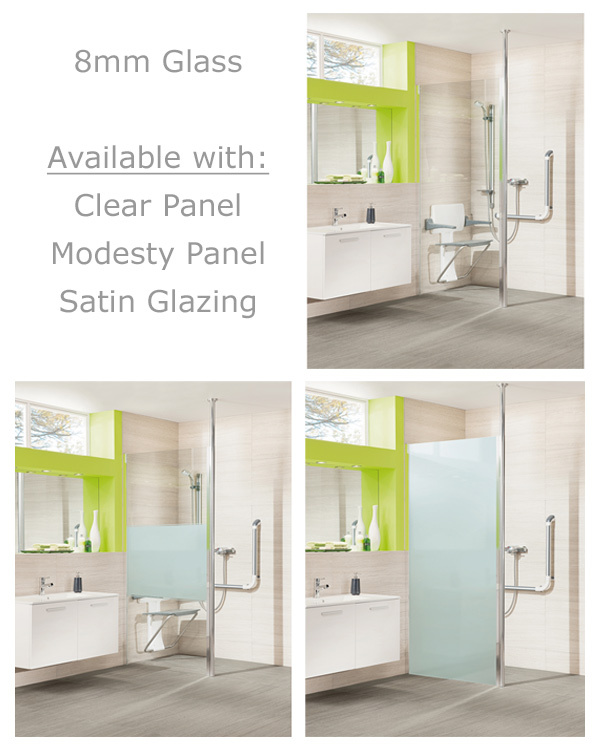 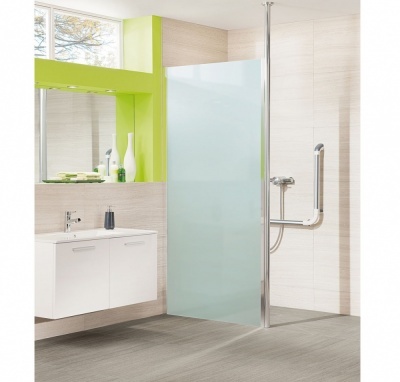 The Supreme wet room shower screen glass panel offers a range of both size and finish options available in 'Clear', 'Satin' & 'Modesty' finishes and is is supported by a floor to ceiling polished aluminium column, which can be adjusted in height from 2027mm to 2700mm. Luxurious finish and slim wall profile whilst also offering practical support. 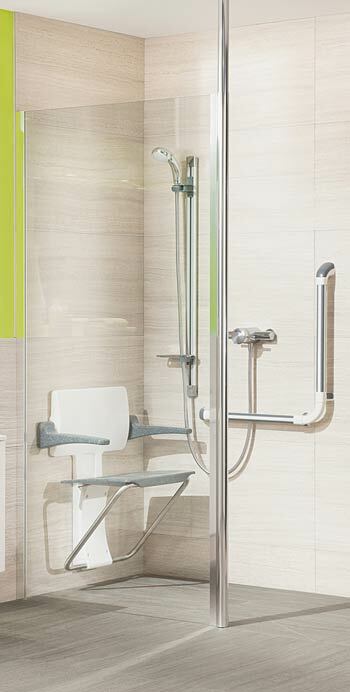 Can be fitted on either a shower tray or a wet room floor. 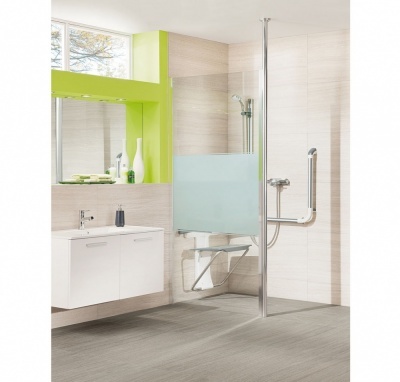 Impey wet room panels can be simply silicone sealed direct to the tiled floor, but for the neatest possible finish we also offer two alternative options - a discrete acrylic floor seal, or a stylish polished chrome trim as optional extras. 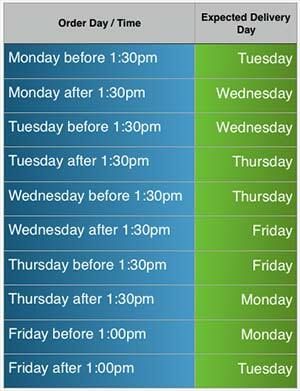 Strong, rigid design for user support.